Stevie and Joseline tie the knot!!! 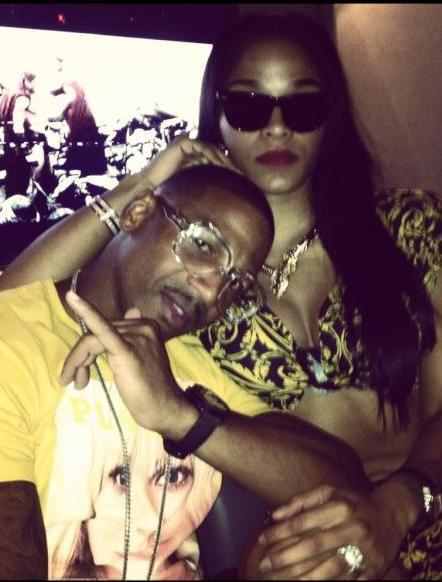 According to MTO the two we love to hate #LHHATL's Stevie J and Joseline Hernandez have become united in holy matrimony. Read here for the tea...Stevie J Married Now. I hope Mimi gets off the bus sings bon voyage and removes herself from the unfantastic voyage she was on with those two. As usual another media outlet has reported that MTO's claims are false. The two lovebirds are simply in Puerto Rico to film a video in response to Benzino's claims that he smashed the baddest puta. However, in true reality tv style I'm sure more drama is waiting around the corner for us to watch like a ratchet car wreck. So fasten your seat belts and stay tuned.